Law Week Colorado brought home several awards from the 2018 Top of the Rockies Contest last Friday! 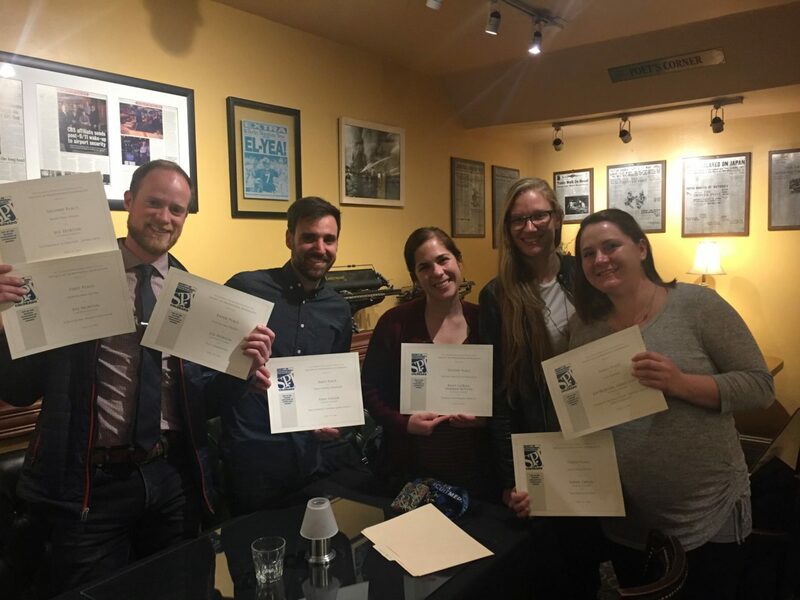 Our editorial and creative teams were recipients of these regional awards, sponsored by the Society of Professional Journalists (SPJ) Colorado Chapter. Tony Flesor received the first place award for Legal: General Reporting, Sarah Green placed third in Single Page Design and Infographic Design, and Joe Horton placed third in Infographic Design and Feature Page Design. He also placed first and second for Front Page Design. Kaley Laquea and Hannah Blatter received second place in General Podcast Excellence for their development of, “HearSay: Autonomous Vehicles.” This is the publication’s first award of excellence for HearSay. Law Week Colorado competed against publications such as the Denver Post, the Denver Business Journal, and Colorado Public Radio. According to the SPJ website, entries for Top of the Rockies are judged on overall excellence, service to the community, and contributions to the public understanding of issues and events. These awards also take into account depth of research, quality of presentation and difficulty in obtaining information.